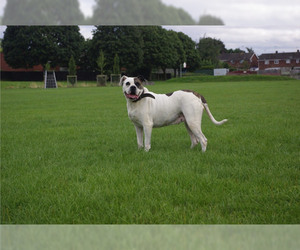 Overview: Originally used in the 17th century for bull baiting—a wagering sport in which dogs fought bulls in a ring—Bulldogs had taller, more athletic frames (much like the Olde English Bulldogge). When bull baiting was outlawed in 1835, Bulldogs were bred to be kinder, heavier and more relaxed. 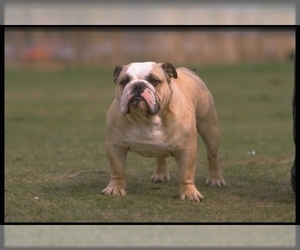 However, American Bulldogs—which were brought to the U.S. before this breeding pattern—retained the size and strength of the original Bulldogs. Great family dogs, American Bulldogs are sweet to children. 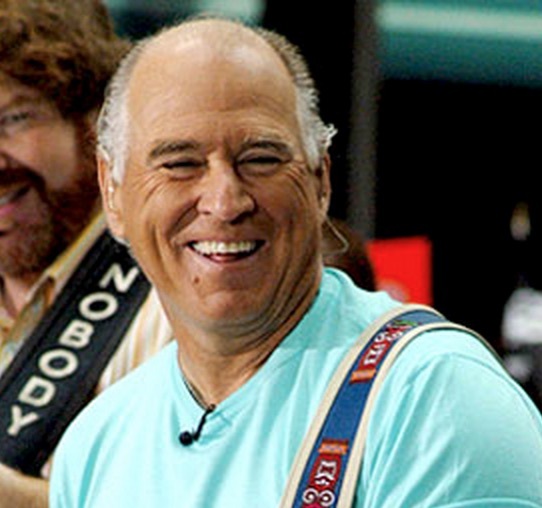 They love family-oriented occasions and want to be involved. With proper training and socialization, you’ll find them outgoing and exceedingly loyal. Some American Bulldogs will go to great lengths to protect their masters. 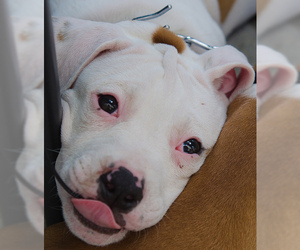 Tough and determined, American Bulldogs have an impressive stamina and strength. They are always game for playtime in the back yard or working in the field. Coat: Short, coarse coat. 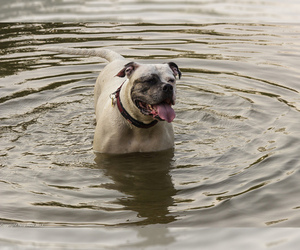 For such a short haired dog, American Bulldogs shed more than you might think. Their short coarse hairs come off on your hands when you pet them, and stick tenaciously to your clothing, upholstery, and carpeting. 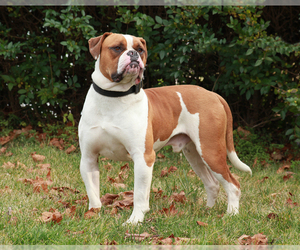 Character: American Bulldogs are friendly, happy lovable dogs with an assertiveness and confidence that never gets out of control. Though initially stubborn in training, they soon respond to their masters’ commands and prove to be endlessly faithful companions. 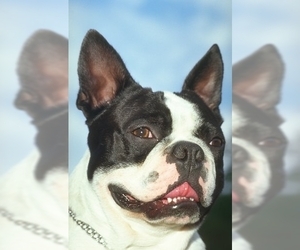 Temperament: American Bulldogs are loyal and loving animals that prefer to be with people. They do well with children, when socialized from a young age. May not do well with other dogs. 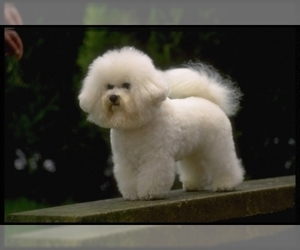 Care: The short coat requires infrequent bathing and brushing. 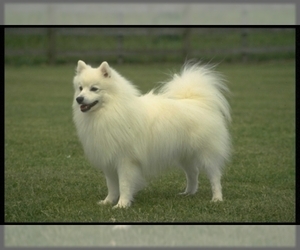 Training: This breed needs firm, consistent, but not harsh training. 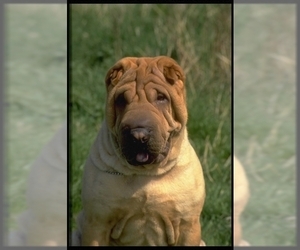 They are highly trainable and can be used as agility or search and rescue dogs. Activity: American Bulldogs MUST have regular opportunities to vent their energy and do interesting things. Otherwise they will become rambunctious and bored -- which they usually express by barking and destructive chewing. Bored American Bulldogs can make a shambles of your house and yard. 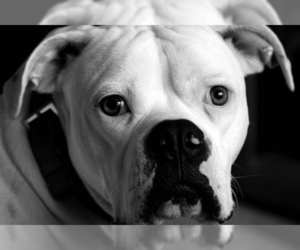 Health Issue: American Bulldogs generally live from 10 to 16 years, and tend to be strong, physically active, and often healthy. 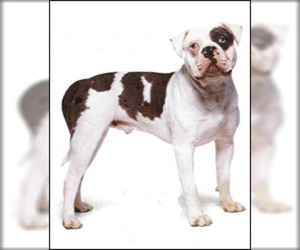 Some health problems in American bulldogs are often found within certain genetic lines, and are not common to the entire breed, while others, such as neuronal ceroid lipofuscinosis (NCL), Ichthyosis, disorders of the kidney and thyroid, ACL tears, hip dysplasia, cherry eye, elbow dysplasia, entropion, ectropion, and bone cancer are more common to the general population of American Bulldogs. There are DNA tests available to help breeders screen breeding animals for NCL (neuronal ceroid lipofuscinosis) and Ichthyosis. 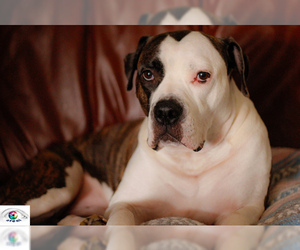 It is highly recommended to spend time to research your breeder information, including your American Bulldog's family history. 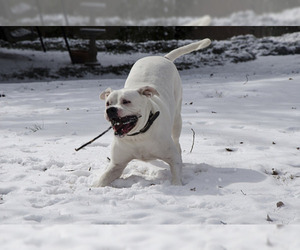 A Penn Hip (Pennsylvania Hip Improvement project) or OFA (Orthopedic Foundation for Animals) screening is recommended for all potential breeding animals. 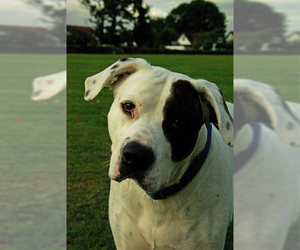 Some breeds of American Bulldog are prone to allergies. Symptoms like a runny nose or a rash are examples of signs of allergies. 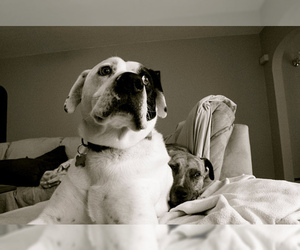 Some vets recommend dog owners to give 25 mg of Benadryl per day; in most cases it helps. 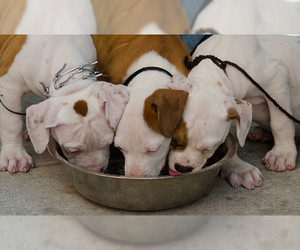 Colors: fawn, tan or brown with white markings. Displaying 1-5 of 22 result(s). Colors: White, or white with biscuit cream. 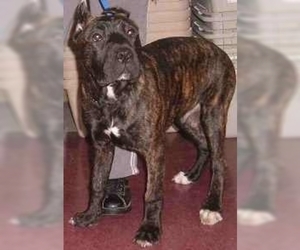 Colors: Brindle, seal, or black with white markings on muzzle, between eyes, and fore chest, and possibly white collar and lower legs.